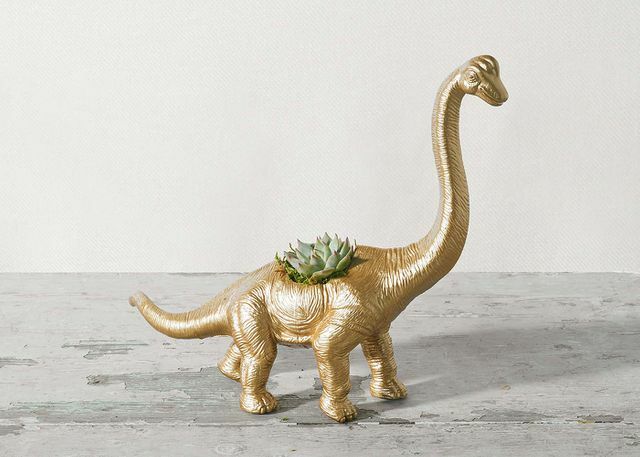 Meet The Lucy – a prehistoric planter coming soon to a desk near you. Thanks to our friends at Sill Life, this lady has been repurposed into the golden succulent holder you see today. 3.5" x 4" succulent in 11" x 10" golden plastic brachiosaurus. Total height: 10"